Avon Smooth Minerals Lipstick is a multi-tasking lipstick, formulated with 100 per cent natural and mineral colourants. Lipstick provides luminous colour as it smoothes and hydrates while the SPF 15 in the formula delivers protection. 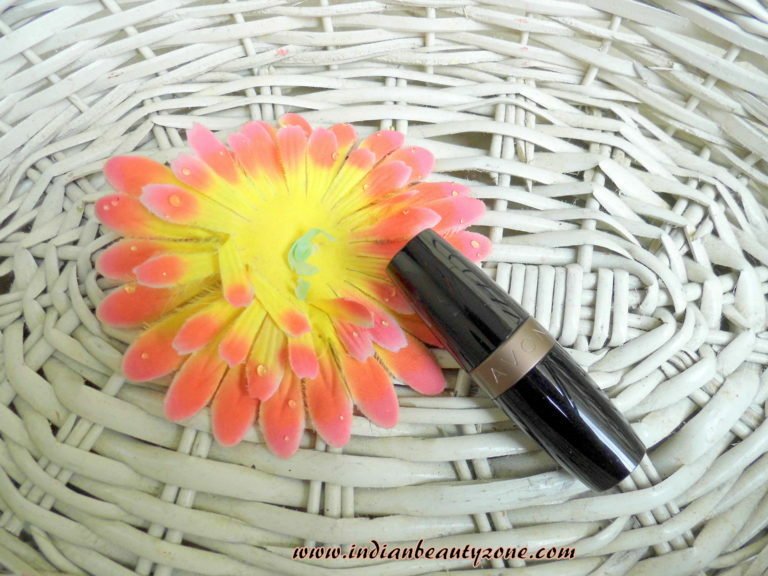 With a smooth, creamy, lightweight formula, lipstick glides on easily and allows build-up of coverage from sheer to full. The moisturising complex of shea and cocoa butters, help to keep lips soft, nourished and moist. Other moisturising ingredients include tourmaline, malachite, copper, magnesium and zinc. Mineral-glow pearls add brightness to the lipstick; and it is also free of talcs, dyes, fragrance and preservatives. Suitable for all skin types, including sensitive. The lipstick comes in a glossy black lipstick package with a metal center and the Avon name in it. In the bottom of the packaging you will find the lipstick shade details etc. It is travel friendly. The shade name is "Chocolate Kiss" and it is the yummiest name for a girl like me. Who don't like a kiss from chocolate? yes, we do love to get a kiss from a chocolate then this lipstick may help you. The shade is very natural brown with slight red hues. It looks absolutely natural on my lips. I use to wear this kind of shades if go to my kid's school and hospital visits. I consider myself those places are divine and should not give importance to the makeup. I hate people wear bright lipsticks to those places. 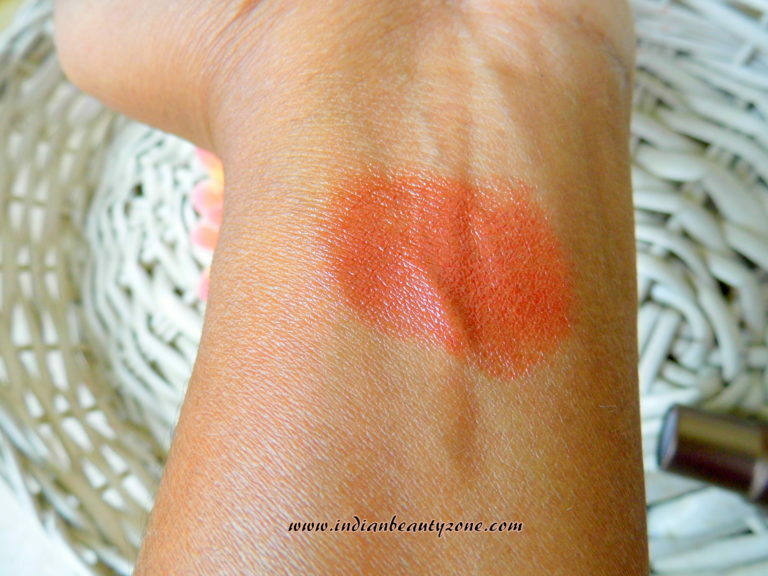 The pigmentation is good and it is buildable. If you have pigmented lips like me you can apply it and this shade looks absolutely fine and there is no trans look of your lips. It gives a even finish with its smooth creamy texture. The smell of the lipstick also very pleasant and no chemical or artificial smell with it. The lipstick survive on lips up to 4 to 5 hours with out any snacking or meals. If you take snacks or meals it will vanish with brown hint on your lips, you need to reapply it. It gives a smooth and glossy finish to the lips when applies which makes the lips gorgeous, so there is no word of dryness, it hydrates the lips well. Overall it is a good lipstick and I think it is available in discounts also from Avon sellers. 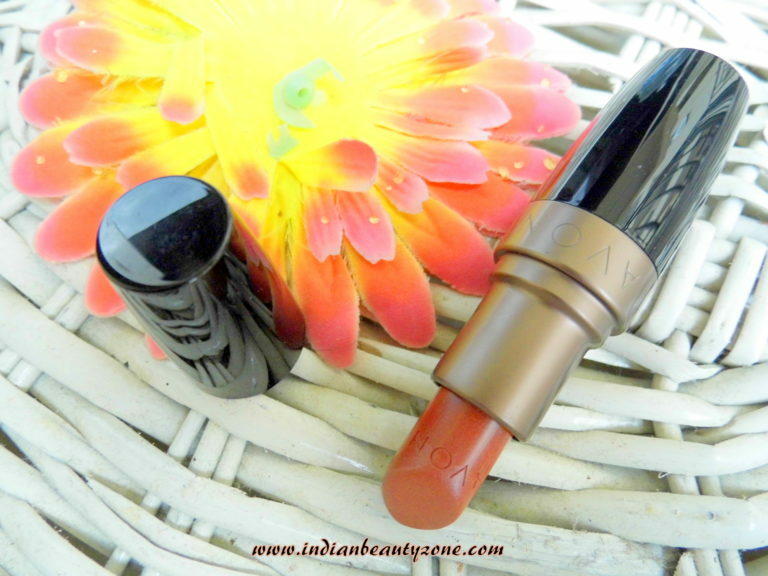 Best suitable shade for medium to dusky girls. I feel it is bit costlier. 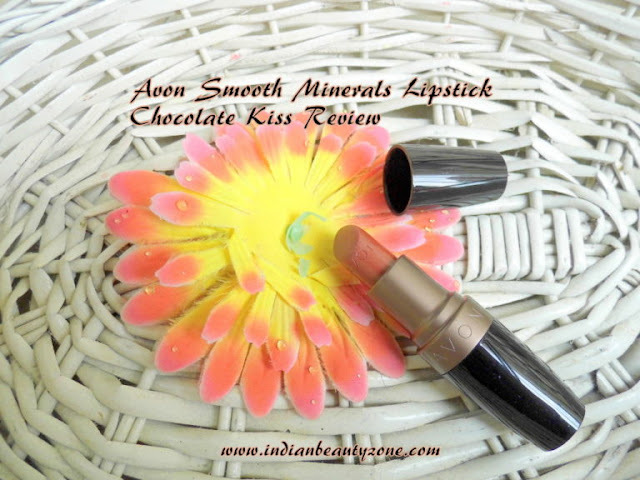 Avon Smooth Minerals Lipstick Chocolate Kiss is the best brown shade those who don't like bright lipstick for daily wear must try this shade and this Smooth Minerals range has some other shades like in pink and red too. Do try this lipstick, it is good.